Rain drops, sea gulls, waves of ambient synths, strings for days, Spanish guitar, saxophones, orchestral piano, acid bass lines, lazy house, disco, lounge, chill out… Somehow it's all Balearic and that's so much of its charm. And yet, as Beatport announced yet another season in the White Isle of Ibiza today, most of these sounds are nowhere to be found amongst the collection of mp3s the DJ download portal is pushing on the masses. Dig back far enough though, seek out the right artists, the right labels, and even the right corners of the Internet, and you can find what we like to think of as the true Balearic sound. What is Balearic though? It's a question we'll be weighing in on over the balmy summer weeks throughout July in a series of posts dedicated to Balearic music, its history, and the people behind it. 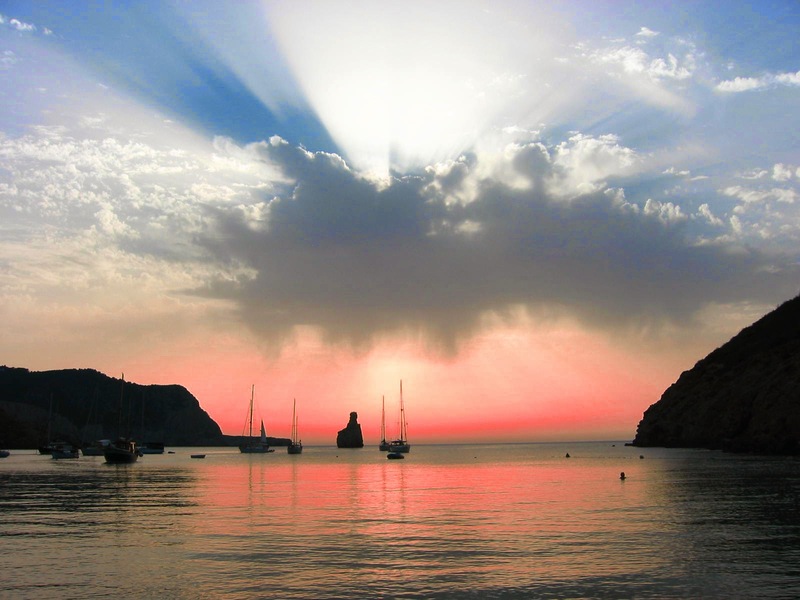 For me personally, a Balearic approach to music has followed me my whole life, before I was even aware of the term of the island scene that spawned it. A childhood spent in Hawaii and California predisposed me to a tropical lifestyle that led directly to a preference for music that moves in island time. When I got my first record player in high school, used Bob Marley and the kitschy lounge of Henry Mancini were the first artists to waft out from that Frankensteined hi-fi in my parent's basement. My freshman year in college brought with it Kruder & Dorfmeister and whatever other worldly chill-out I could get my hands on. When I finally took up deejaying, I was consistently relegated to the early slots because all the other DJs I knew couldn't wrap their heads around why my music was so mellow or why I could never give a straight answer to the question of what style of music I played. Eventually I suppose I gained some vague notion of Ibiza as a clubbing mecca, but I was too busy following threads through Brazilian, Latin, African, and Spanish rhythms and butting them up with the contemporary world beat of labels like Schema, Tru Thoughts, and Far Out to care. Friendships with the guys behind Candela Records brought me on multiple trips to Old San Juan where I peddled my deep, global style across more than a few bars there. And today, my love of ambient soundscapes, cosmic house, and trippy disco have only added to a palette that I'm coming to realize shares a lot with what Ibiza originators like famed Cafe Del Mar resident Jose Padilla and DJ Alfredo were doing as they inadvertently set the mold for the Balearic sound. Thanks to this discovery, we've spent the last month on an exhaustive tour of all things Balearic, from the vintage Padilla mix tapes collected at Testpressing.org to the catalog of the International Feel label to the radio shows of modern Balearic selectors like Chris Coco and Pete Gooding. Mixed with our ongoing love affair with artists and labels regularly featured here—John Talabot, Prins Thomas, Todd Terje, Woolfy… Permanent Vacation, Eskimo… —and we've found ourselves in a cozy musical pocket we may never crawl out of. So where was I? Our definition of Balearic music. Well, it's heavily informed by people more knowledgable than us. From the interviews we've conducted—which will share with you in the coming weeks—and the homework we've done, few things are concrete but two thing are: It's a deeply personal musical selection that befits a setting, one that typically involves the sea, condensation on cocktail glasses, and a sunset to beat all sunsets. It just so happens I can't think of a better way to describe the music I enjoy most.